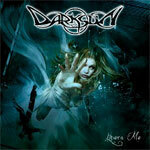 Spanish metal band Darksun revisits their roots on their latest release, 'Libera Me' by singing in their native language. Their previous and excellent work, 'The Dark Side,' was their first album entirely in English. However, make no mistake the stylish melodic metal still remains. 'Libera Me' is a very good follow up to their previous recording demonstrating obvious similarities, but also some subtle new directions. The other newsworthy nuance is the addition of some mild dirty/death vocals found on several songs. Mostly likely Darksun intends the dirty vocals for accent. However, they often come across as a poor attempt to ride a trend that is more abundant and abused than necessary. On songs like 'Huella En La Arena,' 'Saltar Al Vacio' (horrible) and 'Odio Eterno,' they are wholly needless and, frankly, often sound more amusing than natural or musical. 'Libera Me' is another fine accomplishment for Spain's Darksun. The work is heavier than previous outings, but this does not diminish Darksun's powerful and impressive melodic metal. The only fault lies in their unnecessary use of dirty vocals which, in less able hands, could have easily torpedoed the entire work.